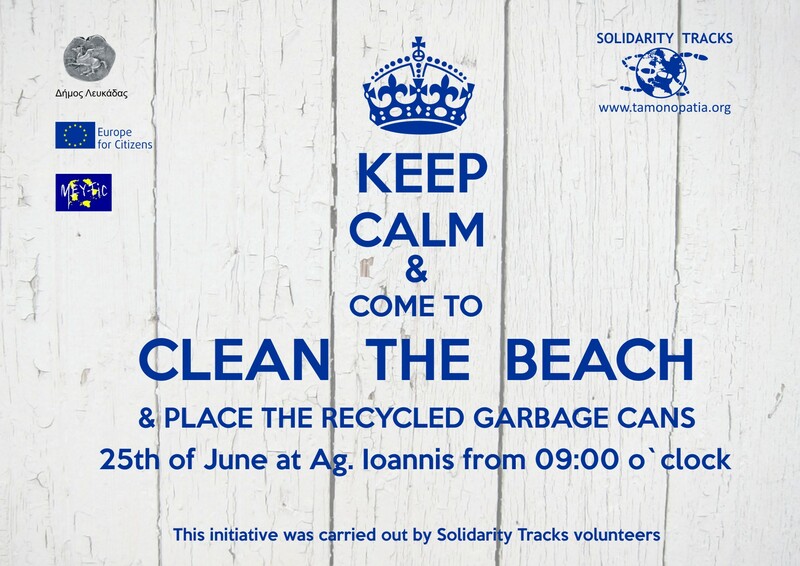 KEEP CALM & CLEAN THE BEACHES! Nowadays, as mostly everyone understands the importance of keeping clean environment, in this case we can see that it is not usually implemented. That is why so often we see dirty places full of rubbish on the streets (or beaches – Do you know how long does it take a plastic or glass bottle, aluminum can or plastic bag to biodegrade?Find out this information here:http://des.nh.gov/organization/divisions/water/wmb/coastal/trash/documents/marine_debris.pdf), unauthorized landfill sites, many cut-out trees or we just allow environmental pollution (through fertilizers to chemical waste). That is wrong. It is such an important issue because it has not been discovered a planet similar to The Earth yet. Of course, in the past years, we have heard some tittle-tattles about new exposed planets comparable to The Earth (for example the planet called Kepler 452b). Comparable – this is that word. We should be aware of how different could be living on the other wander star. And of course how to overcome the distance between them – so firstly we humans should solve many problems on The Earth. So now, when we come back to reality, let’s talk about our Mother Earth. There are many organizations which bring up the subject of environmental protection. This can take through conferences or direct actions. 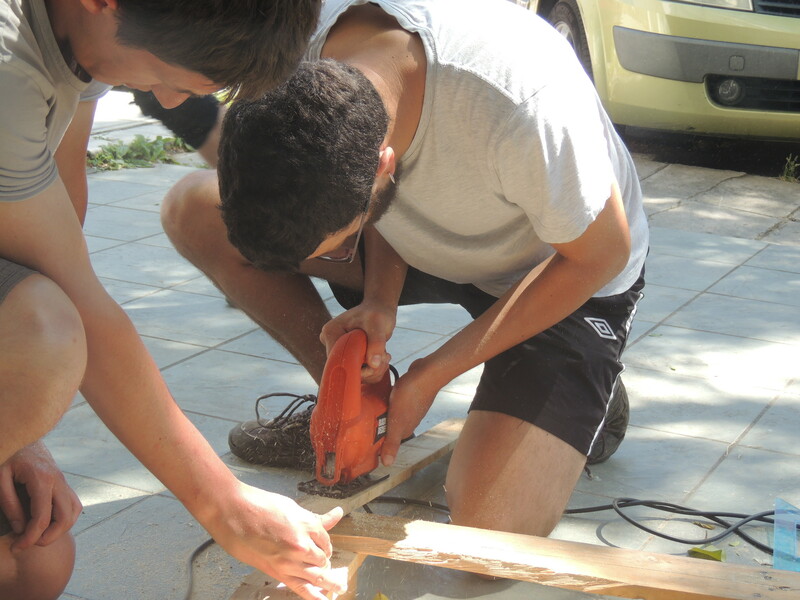 Solidarity Tracks organization, in cooperation with its volunteers realizes this kind of actions. One recent idea generated by the organization is the GARBAGE CANS ACTION. 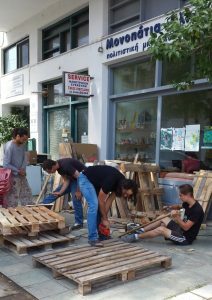 Volunteers of Solidarity Tracks are preparing wooden garbage cans from recycled products (pallets), painting it into white and personalizing with blue color inscription: “Keep the beach clean”. 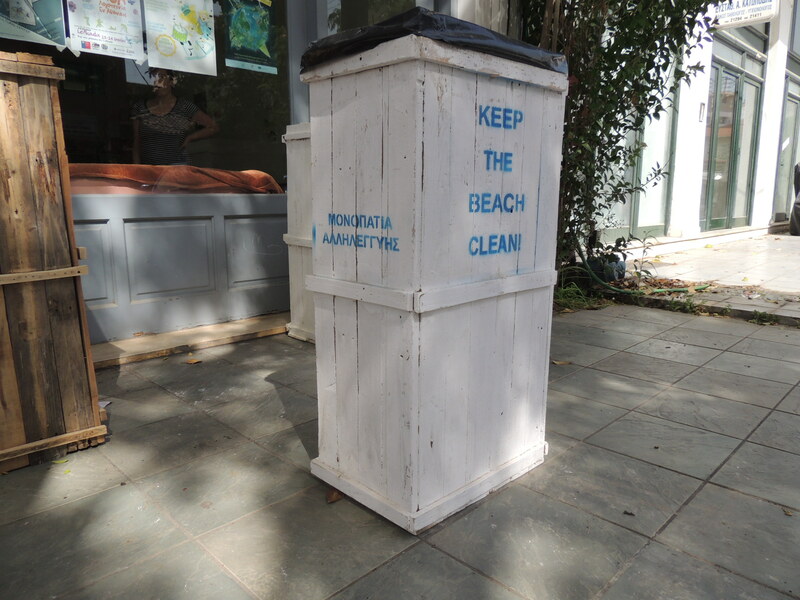 These garbage cans will be placed on two Lefkadian beaches: Agios Ioannis and Kastro Beach on the north of the Island. The emplacement of these Garbage cans will be connected with a Beach Cleaning event on 25th of June where the locals will be invited to join us for a more efficient work. Victor Juan Casas, European volunteer from Spain hosted by Solidarity Tracks is the inventor of this genuine idea. “During my walk on the beach, what I’ve noticed firstly was so much garbage like cans, bottles, papers in the sand and between the rocks. There were no trash containers where the things can be discarded. Lefkadian beaches are beautiful and full of life, so we have to do the effort to protect this gift of our NATURE. So that is why I had the idea to make this kind of recycled garbage cans. Maybe thanks to this idea the beaches will be cleaner in the future”. Victor`s idea was shared, approved and supported by his hosting organization Solidarity Tracks and a prototype of garbage was created by Victor. The next step was to contact the Municipality of Lefkada for cooperation, support and wider promotion. They appreciated this initiative and offered their support for it. Other volunteers from Solidarity Tracks have joined to realize this idea (from France and Poland). 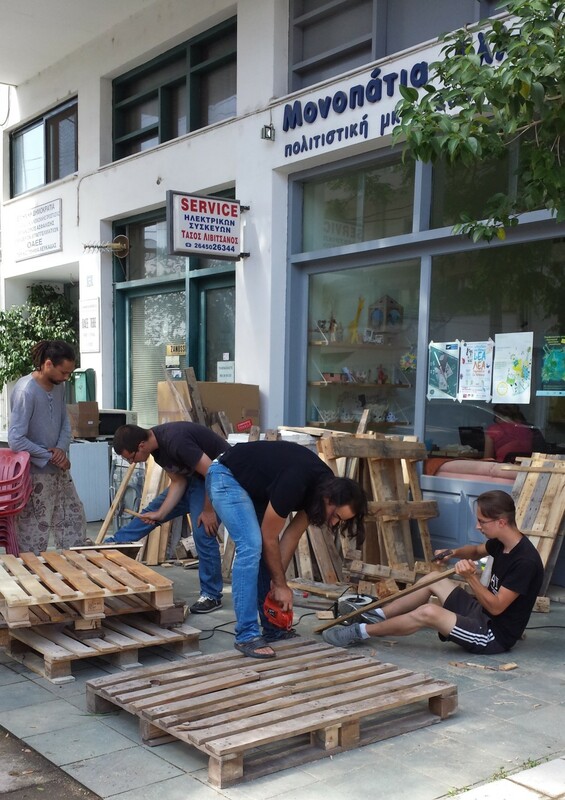 With their joint forces they prepare together garbage cans for the final event, 25th of June. Maybe thanks to Victor’s idea it will be easier to keep beaches cleaner and Mother earth will thank us for helping her. 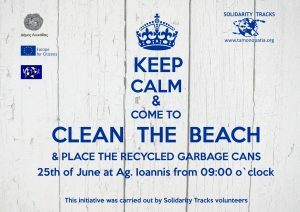 This entry was posted in Local and tagged beach cleaning, Keep calm, Lefkada beach, pallets, recycling. Bookmark the permalink.